Beatty is an unincorporated town along the Amargosa River in Nye County in the U.S. state of Nevada. 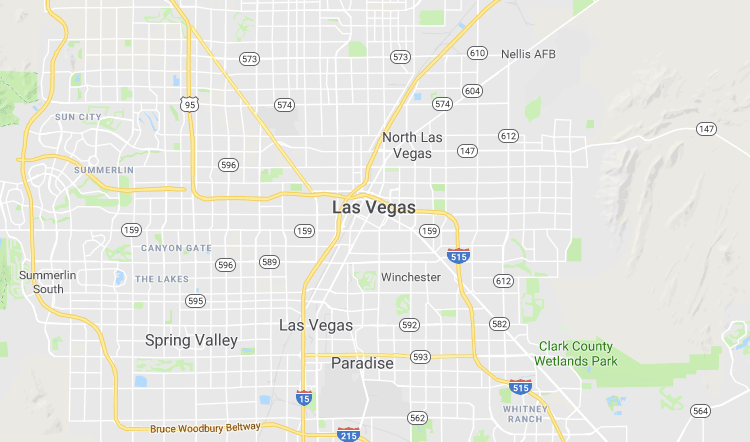 U.S. Route 95 runs through the town, which lies between Tonopah, about 90 miles (140 km) to the north, and Las Vegas, about 120 miles (190 km) to the southeast. State Route 374 connects Beatty to Death Valley National Park, about 8 miles (13 km) to the west. Before the arrival of non-indigenous people in the 19th century, the region was home to groups of Western Shoshone. Established in 1905, the community was named after Montillus (Montillion) Murray "Old Man" Beatty, who settled on a ranch in the Oasis Valley in 1896 and became Beatty's first postmaster. With the arrival of the Las Vegas and Tonopah Railroad in 1905, the town became a railway center for the Bullfrog Mining District, including mining towns such as nearby Rhyolite. Starting in the 1940s, Nellis Air Force Base and other federal installations contributed to the town's economy as did tourism related to Death Valley National Park and the rise of Las Vegas as an entertainment center. Beatty is home to the Beatty Museum and Historical Society and to businesses catering to tourist travel. The ghost town of Rhyolite and the Goldwell Open Air Museum (a sculpture park), are both about 4 miles (6 km) to the west, and Yucca Mountain and the Nevada Test Site are about 18 miles (29 km) to the east. Beatty lies along U.S. Route 95 between Tonopah, about 90 miles (140 km) to the north, and Las Vegas, about 120 miles (190 km) to the southeast. State Route 374 connects Beatty to Death Valley National Park, about 8 miles (13 km) to the west. Yucca Mountain and the Nevada Test Site are about 18 miles (29 km) to the east. As of the census of 2000, there were 1,154 people, 535 households, and 270 families residing in the CDP. The population density was 6.6 people per square mile (2.5/km²). There were 740 housing units at an average density of 4.2 per square mile (1.6/km²).